Roland TD-17KVX Review - Is This Electronic Kit Worth It? In this Roland TD-17KVX review I’ll go over all the aspects of this newly introduced electronic drum set and see if it’s worth getting or not. Roland V-Drums are the leaders in innovation and technology when it comes to electronic kits, and the TD-17 is no exception. 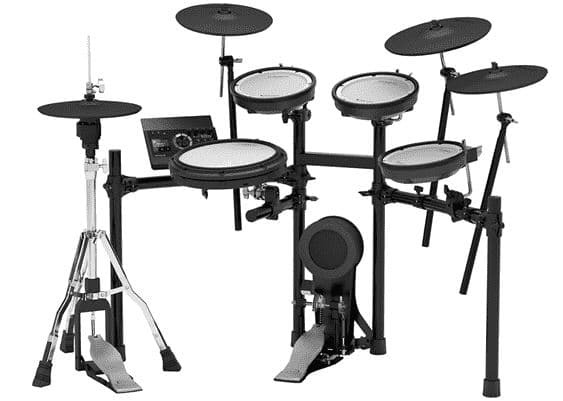 I’m seriously excited about this newly introduced electronic drum set from Roland. 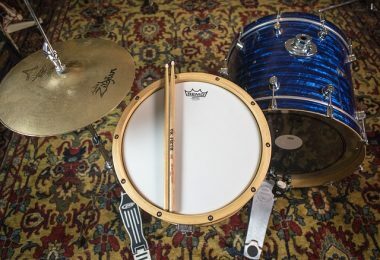 Replacing the aging TD-11 series has been a long time coming, and with the TD-17 series I think they hit it out of the park. There are 3 new kits introduced with the TD-17 series. They are the TD-17K-L, TD-17KV, and TD-17KVX. The first one, TD-17K-L, stands for Light. This one comes with compact rubber pads and a smaller snare drum than the others. Moving up to the TD-17KV adds mesh pads and includes the new PDX-12 snare drum and PDX-8 pads for the toms. The top of the line TD-17KVX comes with 2 CY-12 crashes, a CY-13 ride, and the new VH-10 hi-hat. Since I’m in love with the TD-17KVX and think it’s the one worth getting over the other 2, I’m going to do a review of all the features and technology on it instead of the lower-end models. I think that having mesh pads and the full VH-10 hi-hat is worth spending a little extra on for the top model. Roland realized that electronic kits like the TD-11 were being used mostly for practicing at home while acoustic drums are still being used on stage. Because of this, they adapted and made some adjustments to make the TD-17KVX the best electronic drum set for practicing at home. This is a very smart move in my opinion and it really shows that Roland is paying attention to feedback and how the kits are actually being used. Besides the module, there are essentially 3 new parts being introduced here for the first time. The VH-10 Hi-Hat is a new addition to the Roland family. Its similar to the VH-11 in that has a floating top cymbal and a small fixed base. It’s very thin and light which allows for fast footwork. 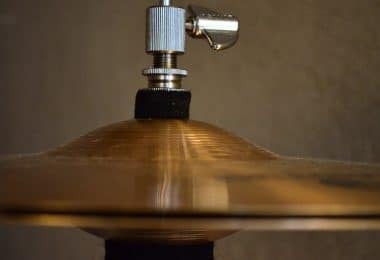 With Roland’s other hi-hats like the VH-11 and VH-13 you have to really work for it when doing things like foot splashes because of the weight of the top cymbal, but with the VH-10 it's a breeze and this really helps improve playability. The new KD-10 Kick Drum looks very similar to the KD-9, but there are some big differences. Roland really focused on the materials here to improve it's quietness which is a high priority when practicing at home. They partially used soft rubber which hardly generates any noise. In addition, they listened to feedback from the previous products and included a winged-shaped foot structure for added stability and center of mass. This means that it won’t move all over the place when played hard. The KD-10 has the ability to hook up and play double bass pedals which is great. I’d advise using plastic beaters though instead of felt since the felt can wear down the mesh pad over time. The PDX-12 is Roland’s new 12” snare drum pad. It’s a great size I think compared to the small 8” playing surface of the PDX-8 snare on the TD-11 series. The biggest improvement here is that they redesigned the rim. 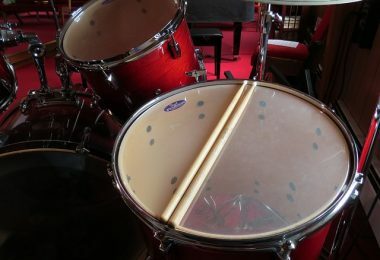 On pretty much all mesh pads the rim tends to stick up pretty high, meaning that you need to change your technique when coming from an acoustic kit. With this new snare they lowered the rim to mimic the height of an average acoustic snare drum. This small change greatly improves playability and leads to a more realistic and natural feeling when playing things like rim shots. The new TD-17 Module comes packed with some great features and it really helps elevate the playing field for electronic drum sets for home practice. The biggest addition to the new module is the inclusion of TD-50 sounds and sound technology. This is the first time in the world and the first time in the Roland era that flagship sounds are available in an everyday affordable module. All of Roland V-Drums besides the TD-50 came with the SuperNATURAL sound technology. The TD-50 module was the first to introduce the new Prismatic system. It’s a huge step up since it makes every single hit completely unique. Imagine that you strike a real ride cymbal. The first time you hit it, it makes a sound. 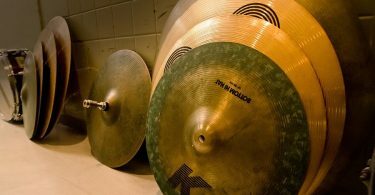 The next time you hit it, the cymbal is already vibrating so that will affect the sound in a different way. This is what the Prismatic sound technology models. It adjusts the sounds for certain scenarios which leads to unique sounds every time. This leads to a much more natural feeling and greater expressiveness when playing. Playing along with music is the greatest way for a drummer to express themselves fully and grow as a musician. Roland V-Drum kits have always had great options for hooking up to your gear or connecting to a computer. With the TD-17 module you still get the standard inputs like stereo-in, but now they have included the ability to connect to your smartphone via Bluetooth. This means that you can throw on a YouTube video to jam with, launch Spotify, or connect with any other way you would play music from your smartphone. A design feature that I love is the inclusion of a little shelf on the top half of the module - a perfect place to put your phone. They’ve really thought of everything here. You also get standard L and R outputs in case you want to amplify your electronic drums, and there is MIDI out for those of you who want to trigger drum software. On top of that, you can load up your own music onto an SD card and plug it right into the module, or you can jam along to one of the many backing tracks already included on it. And the best part? You can speed up or slow down the tracks. Yes, you can even slow down your own music files on your SD card! Coach mode is a great tool for helping you become a better drummer. One of the modes inside of this is called Time Check. Playing with a metronome can be boring at times, so this is a good way of mixing it up and making practice more fun. You basically play along with a beat and it gives you a visual cue for how on-time your playing is. At the end it gives you a score. You can also enable Quiet Count which will play the background beat for a few measures and then become silent for a few to let you really see how well in time you can play. There is also a guided 5, 10, or 15 minute rudimental warm-up mode among other things which is great for getting your muscles warmed up before playing. You set a max tempo and it will slowly bring you up to that point and back down using various exercises. Early in 2018 Roland partnered up with Melodics to bring some extra training potential to Rolands electronic drum sets. Melodics is basically software that you can download onto your PC or laptop from their website that offers multiple levels of drum training. All V-Drums come with the ability to be hooked up to Melodics. All you need to do is plug a USB cable into your drum module and hook up the other end to your computer. With Melodics there are different levels of training to go through - levels 1 through 15 - each getting progressively more difficult as you go up. In addition, there are multiple courses available to hone in your skills for specific styles of music or techniques. When connected to your electronic drums, it behaves in a similar way to Guitar Hero. Notes scroll across the screen along with a backing track and you play along with it. Afterwards, you get a complete breakdown of notes missed, rushed or dragged notes, and a graph showing how well you’ve done compared to previous attempts. When you download the software you can get 40 free lessons to use with your Roland drums before you need to pay for access to the library of 400+ lessons and 30+ courses. I think it’s a great partnership, but just keep in mind that you’ll need to see the screen on your computer when playing and also have easy access to control it from your drum throne, so this might be tricky if you don’t have a good place to put your laptop. In total the TD-17 module has 300 different instruments. 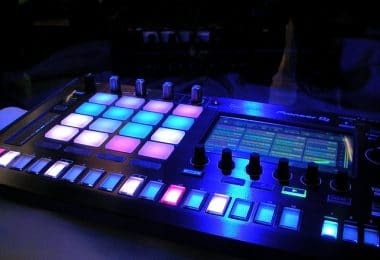 It comes with 50 preset drum kits and has room for a total of 100 presets. The module also comes with knobs for ambience, bass, treble, and volume. This means you can add as much room ambience as you want and EQ the drums to your exact liking. In addition to adding in sounds from their TD-50 module, they looked at the top music charts to get inspiration for some new sounds. They know that people love playing along to popular music tracks so they tried to cater toward this by creating more usable sounds and removing ones that probably won’t be used that often. When looking at the features and price of the Roland TD-17KVX, I think that it’s the best electronic drum set for the money at the current moment. Check out the price and learn more details here. The amount of money that you have to spend on the high-end Roland kits is a bit too much if you ask me, but the TD-17 is the perfect price - especially when you take into account the fact that you get the TD-50 sounds and technology included. Add in the ability for Bluetooth and a brand new module with tons of other features and you have an amazing electronic kit that’s hard to beat. 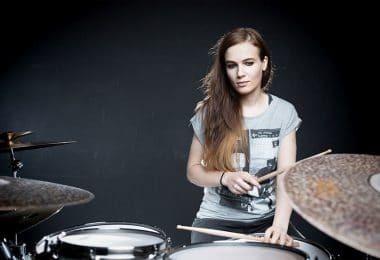 If you want to check out some of the other Roland electronic drum sets you can read ​our comparison article here.